BRITISH PRIME MINISTER Theresa May has hit back at critics of her handling of Brexit, writing in the Sunday Telegraph that she had “proven the doubters wrong” after securing an interim deal. Pressure lifted on the embattled leader after she struck a deal with the European Union over Britain’s divorce terms on Friday, enabling talks to turn to the country’s future trading relationship after months of fraught negotiations. “We have proven the doubters wrong and are making progress towards a successful exit from the EU,” she wrote in the centre-right broadsheet, calling the agreement “a watershed” in negotiations. She also played down fears of Brexit voters that Britain would end up being bound by EU rules, insisting that the country would regain “control of our borders, and set our own laws”. However, prominent Brexit campaigners in her own cabinet appeared concerned that Britain would be restricted by EU rules during the transition period, which is expected to last for around two years. Foreign Secretary Boris Johnson told the Sunday Times that Britain risked becoming a “vassal state” of Europe if it did not fully leave the jurisdiction of European courts or the customs union, which would prevent it from striking trade deals with other countries. His comments came shortly after finance minister Philip Hammond said Britain would “effectively replicate the status quo” during the transition period, highlighting May’s task in uniting her cabinet ahead of the second phase of negotiations. 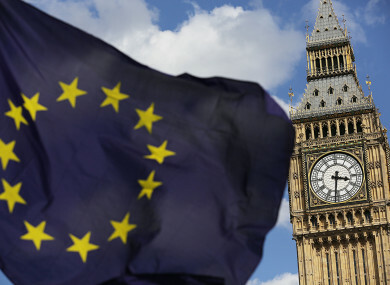 A BMG Research poll for The Independent newspaper on 51% of Britons now favoured staying in the EU compared with 41% who backed Brexit, the widest margin since the June 2016 vote — although the poll was carried out before the interim deal was announced. Email “Brexit deal 'proves the doubters wrong' - May”. Feedback on “Brexit deal 'proves the doubters wrong' - May”.